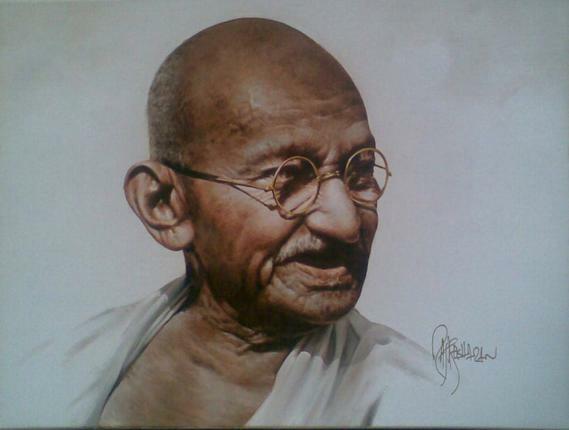 Mahatma Gandhi was shot dead 68 years ago on this day, January 31, 1948. 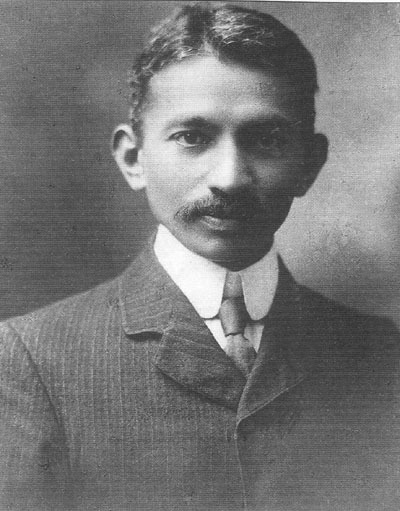 Mahatma Gandhi is one of my nine favorite personalities. I call them my mentors, meaning I think about them regularly and that they are; Jesus Christ, Prophet Muhammad, Mahatma Gandhi, Mother Teresa, Martin Luther King, Pope Frances, and President Barack Obama. Of course, my father and mother top the list, I am who I am today because of them opening the windows of knowledge to me. These are the men and women I have come to adore; their passion was to create cohesive societies where everyone can live without fear of the other. By the time I croak my list may grow to be 10, as there is one more individual I am studying and he may become the 10th favorite Pluralists, i.e., those who respect the otherness of others and accept the God given uniqueness of each one of us. Every year, for the last 25 years, I have been writing a note about him on his death and birth anniversaries, this is my way of paying tribute and expressing the gratitude to a man who gave so much to India and the world. 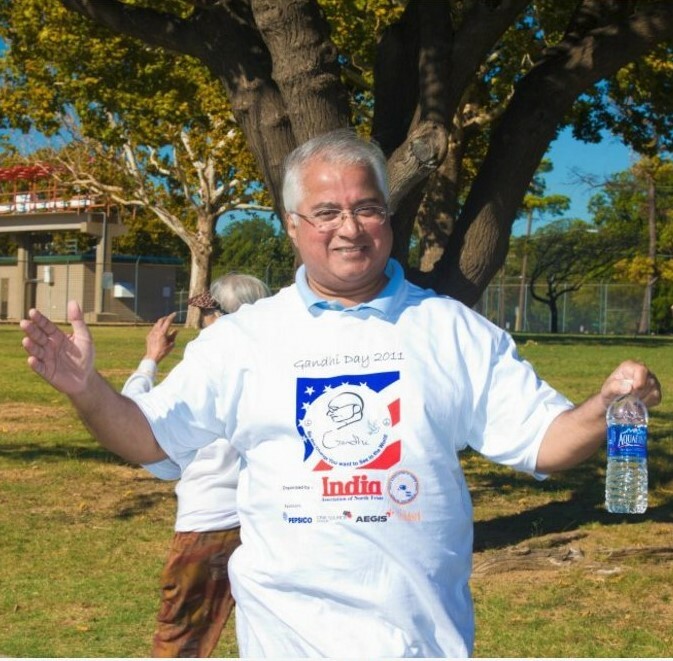 By the way, I have seen Gandhi in my dream twice, way back in early 70’s and in the early 2000 – both the times he pats on my back and says, Son you have a lot of work to do, and that has remained my inspiration to do the work I do. Why did he wear the loin cloth and not the suits? Indeed, he was a Law graduate of University College of London, a successful Lawyer in South Africa and he wore the three piece suits like all the Englishmen did during the period. Do you remember one of his thousands of quotes – “Be the change you wish to see in the world.” What does it mean? One of the major social reforms he brought to India was ‘acceptability’ of the ‘untouchables’, it is a shameful part of history of civilizations where humans were dehumanized, including here in the United States. He wanted the downtrodden and the poor masses to relate with him and he wanted to be one of them and not the elites who look down upon them. Prophet Muhammad did similar thing – he gave Bilal, the slave whom he freed, the highest spiritual status among his followers, it was a jolt to the society, but it knocked their prejudices down. My father did the same, which I have written separately, you see the same trend with Jesus, Mother Teresa, Pope Frances and others – they had zero prejudice towards fellow beings. God bless them all. 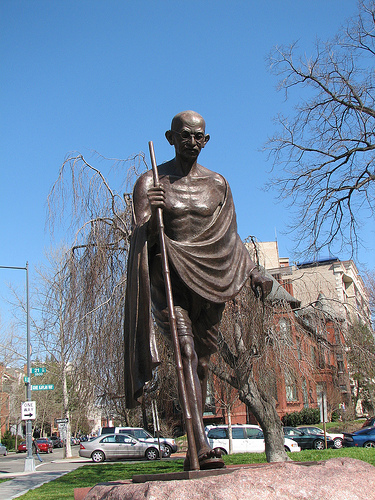 Given what Gandhi stood for, two things are going severely wrong in India, a handful of extremists have taken over and mistreating the Dalits (Untouchables) and the shameful celebration of the man who shot Gandhi. They are building temples to Godify this man Godse who killed Gandhi. I hope the Indian Government on this day makes a commitment to follow the law, to treat all humans equally and to value the freedom of speech. It is a shame, if we don’t speak up against injustice and let the seeds of discrimination grow in a nation that is beacon of hope to many nations. The site http://www.agnt.org/season-for-nonviolence has beautiful graphics and daily messages in web format to inspire, create discussion, and hold in our thoughts each day during the 64 Days of the Season. Consider having your SNV campaign be to share these on Facebook or Twitter. Then, be sure to check back in with us to let us know how your social network is growing by sharing these graphics.” I cannot forget my friend Len Ellis of Dallas for his dedication to this season and the messages he shares. This year like the last few years, we talk about the peace makers of the world, in the beginning it was Gandhi and MLK, now Dalai Lama, Nelson Mandela are added, and I have added Prophet Muhammad to the season. Watch out for the day, I will be giving a talk about what these men did to build a cohesive society, where humanity can live in peace and harmony.